This tutorial shows you how to set up PHP on the MAMP (Macintosh, Apache, MySQL, PHP) package, which includes the Apache web server, the MySQL database server, and the PHP engine. MAMP is intended as a PHP development environment for the Mac, which can work seamlessly with the NetBeans IDE. Xdebug is an extension for PHP that aids in providing information valuable for debugging PHP scripts. The NetBeans debugger works on top of the Xdebug extension, providing an effective debugging tool in your development environment. The MAMP package includes the Apache web server, PHP engine, and MySQL database. Mac OS X 10.5 and later include the MySQL database and Apache server with PHP support. While it certainly is possible to configure the built-in database and server with the IDE, MAMP’s all-in-one bundle provides a convenient and easily configurable solution. 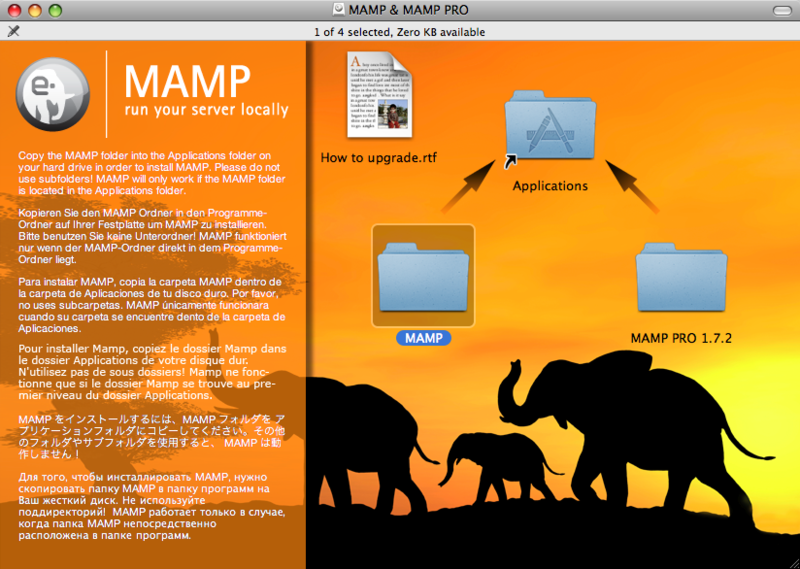 Download the latest version of MAMP. Extract the downloaded file and run the .dmg file. When the installer displays, drag MAMP into your /Applications folder. Navigate to /Applications/MAMP and double-click MAMP.app. The MAMP Control Panel opens. You can also install the MAMP Control dashboard widget as described in MAMP/README.rtf, which enables you to start and stop servers. Click Preferences to open the Preferences panel, then select the Ports tab. Click Set to Default Apache and MySQL ports. Apache port is reset to 80 and MySQL to 3306. 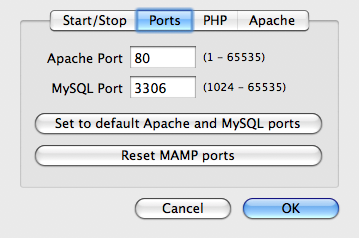 MAMP’s MySQL database is located by default at /Applications/MAMP/db/MySQL. The default username and password are both root, which you can verify by viewing the details in MAMP’s welcome page which opens in a browser when you run MAMP. 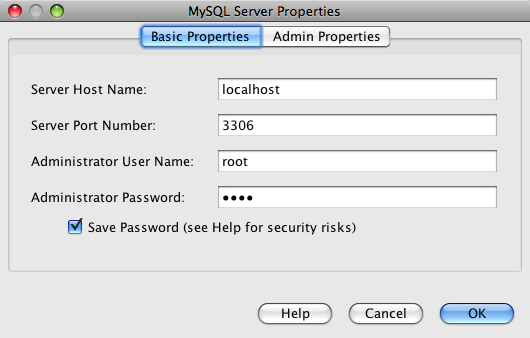 Right-click the Databases > MySQL Server node and choose Properties. 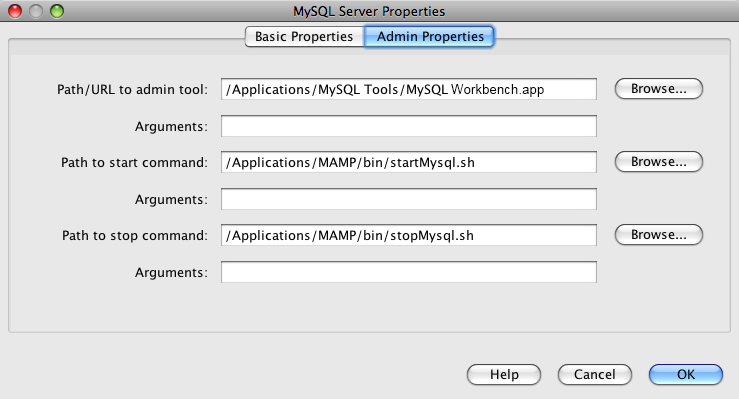 The MySQL Server Properties dialog displays. You can configure all MySQL settings from this dialog. 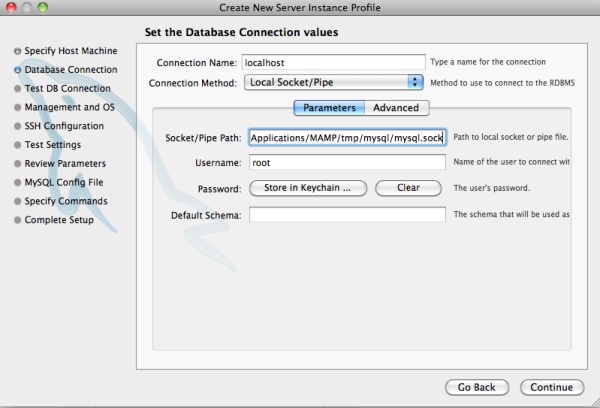 If you choose to use the MySQL Workbench as your MySQL admin tool, you need to specify the socket for the connection to MAMP’s database. 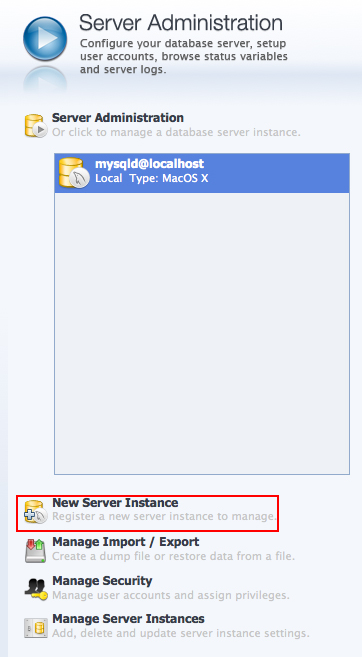 Start MySQL Workbench and from the main page, click New Server Instance in the Server Administration column. The Create New Server Instance Profile dialog opens. Select the Local Socket/Pipe connection method and add the path to the socket file in the Parameters tab. The default location of the socket is: /Applications/MAMP/tmp/mysql/mysql.sock. When you create a PHP project in the IDE using MAMP’s resources, you should specify that the IDE copy your sources to Apache’s htdocs folder. That way, when you save your files after making changes, your sources are automatically updated in the deployed version. For example, when creating a new PHP project use the New Project Wizard (click the New Project icon in the IDE’s toolbar ( image::images/new-project-icon.png ). In the third step of the wizard, Run Configuration, select the Copy files from Sources Folder to another location option and type in the path to the htdocs folder. The IDE remembers this location for future projects. For further instructions on creating PHP projects in NetBeans IDE, see Setting Up a PHP Project. MAMP contains a pre-compiled xdebug.so file. To use this file, enable it in MAMP’s php.ini . 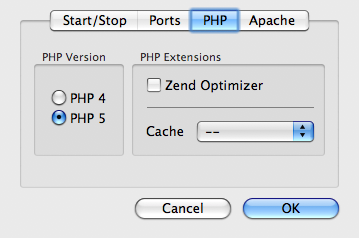 Xdebug does not work together with Zend Optimizer, so you also have to disable Zend Optimizer in php.ini . Open the php.ini file in an editor. This file is located in: /Applications/MAMP/conf/php5/php.ini. Locate the [Zend] section and comment out every line. Locate the [xdebug] section and activate Xdebug (replace xxxxxxxx with the actual number). Add this section to the end of php.ini if it is not there. For an explanation of these properties, see Related Settings in the Xdebug Remote Debugging documentation. Note that the remote port specified for Xdebug in the previous step is: 9000. This is the default debugger port used in NetBeans. To verify this, choose NetBeans > Preferences from the main menu, then select PHP in the Options window. If needed, you can change the debugger port here. 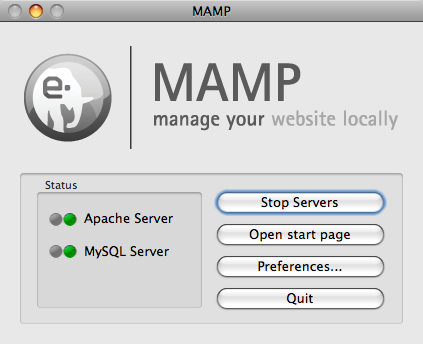 Open the MAMP control panel and select the PHP tab. Deselect Zend Optimizer. Start (or restart) the MAMP Apache server. To debug a PHP project in the IDE, right-click the project in the Projects window and choose Debug. Alternately, if the project is highlighted in the Projects window, you can click the Debug Project icon ( image::images/debug-icon.png ) in the main toolbar. You can set the debugger to suspend on the first line of code by enabling this option in the PHP Options window. When a debugger session is active, the debugger toolbar displays above the editor. You can also verify that a PHP debugging session is active by opening the Sessions window. Choose Window > Debugging > Sessions from the main menu.